The construction of artificial reefs off Miami’s coast began in the 1920s, when an abandoned vessel was intentionally sunk offshore to create a new fishing ground. Between 1969 and 1980, as many as 31 large vessels and other artificial reef materials were sunk off the coast. In the late 1980s, Miami-Dade County took the lead in organizing reef restoration and enhancement projects, developing permit applications so those interested in the program were able to create additional offshore and inshore artificial reefs along the county’s 35-nautical mile coastline. Since that time, the county has overseen the development of 11 inshore and 17 offshore reefs, incorporating the deployment of almost 50 large vessels, two retired oil platforms, cast concrete materials and limestone, an airplane, and several surplus Army tanks. Today, the artificial reef program administered by the county’s Department of Regulatory and Economic Resources (RER) is the largest in the nation, including more than 90 acres of marine habitat. 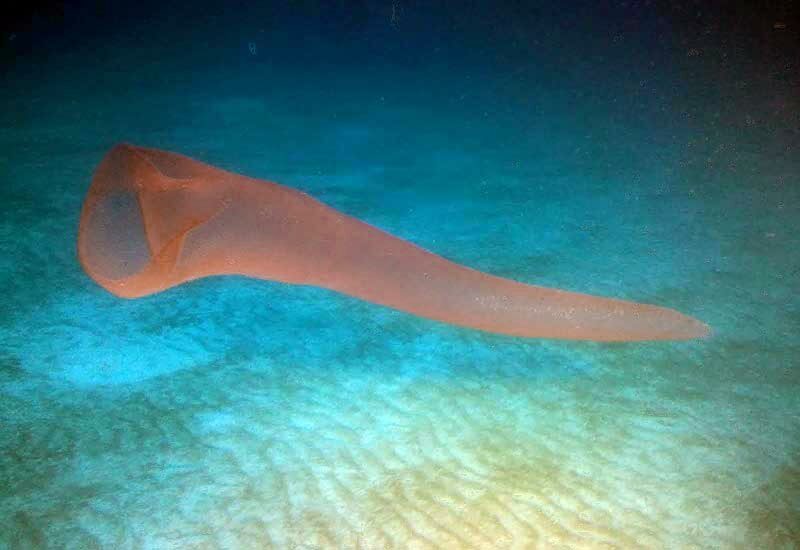 Still, local scientists admit they know very little about these deep-water habitats, primarily owing to their inability to access the ecosystem for study. When OceanGate expanded operations in 2012 to Miami, Florida, opening a second office to meet the growing demand from East Coast and Caribbean clients, its flagship submersible Antipodes became the perfect platform from which to explore these artificial reefs. After some discussions about the opportunity with RER, OceanGate was given a list of dive targets to explore. This list included sites from RER’s known artificial reef sites, as well as additional unknown targets derived from a list of anomalies noted during a NOAA side-scan sonar mission of the area. In late March, Antipodes dove on the first of numerous sites RER identified as warranting exploration and evaluation. Since then, OceanGate has conducted 17 dives on nine artificial reefs, with an average dive depth of 283 feet, and the deepest dive being to 800 feet. Because the RER program has focused on habitat restoration and enhancement, as well as managing the development of benthic organisms and fish, OceanGate’s primary objective in diving the artificial reefs was to provide a visual assessment of the health of the habitats. OceanGate provided documented visual evidence of habitat quality through the extensive production of still and video images taken in almost 42 hours of diving on the reefs, providing this data to RER on a timely basis following each dive. The nine sites visited by Antipodes and her crew included several known wrecks, including the Spirit of Hemingway and Mary Star of the Sea, though some of the dives yielded surprises. 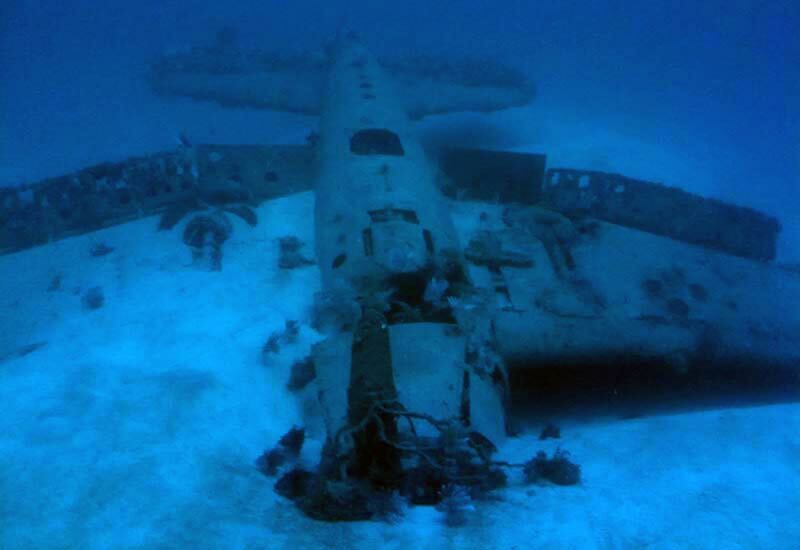 One site, explored because it had show up as anomaly on a NOAA side-scan sonar survey of the sea floor off Key Biscayne, yielded the wreck of a WWII-era Marine fighter plane, which the US Navy subsequently identified as a Grumman F6F Hellcat. 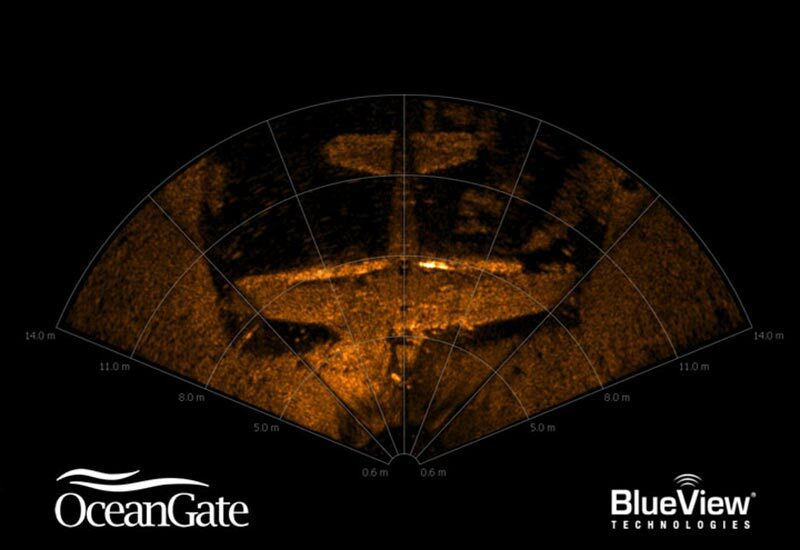 Initial sonar scans of the plane site from NOAA had displayed a 33 meter long (100 foot) target, which led most to assume it was a sunken vessel. However, during the initial dive to the site on June 29, the sonar technology on OceanGate’s Antipodes submersible produced the first-ever, close-range, underwater scans of the distinctive Hellcat, at depth of more than 240 feet. Since the initial dive the OceanGate team has returned for additional observation and data collection dives, including a recent long-duration dive of eight hours. OceanGate has donated its collection of photographs, videos, and technical scans of the Hellcat to the Naval History & Heritage Command in Washington, D.C., as a way to mark the 2012 Veterans Day holiday. The files will be used in the preservation of this federally protected site and in possible future research on the plane. On Sept. 5, Explorers Club member Ross von Burg participated with OceanGate in a dive to a previously unexplored dive site. OceanGate crew members and von Burg, carrying Explorers Club Flag #75, descended in Antipodes to a depth of 800 feet approximately 4.5 nautical miles off Virginia Key in an effort to gather video, photographs and sonar data of the site. This information will be added to existing Miami Expedition data and provided to Miami-Dade County’s RER in an effort to catalog the artificial reef sites and provide baseline documentation of the ecosystem. 2D sonar view of Hellcat aircraft.